Sep. 25, 2014 2:00 a.m.
Marcus Vela is on the radar of NHL scouts. 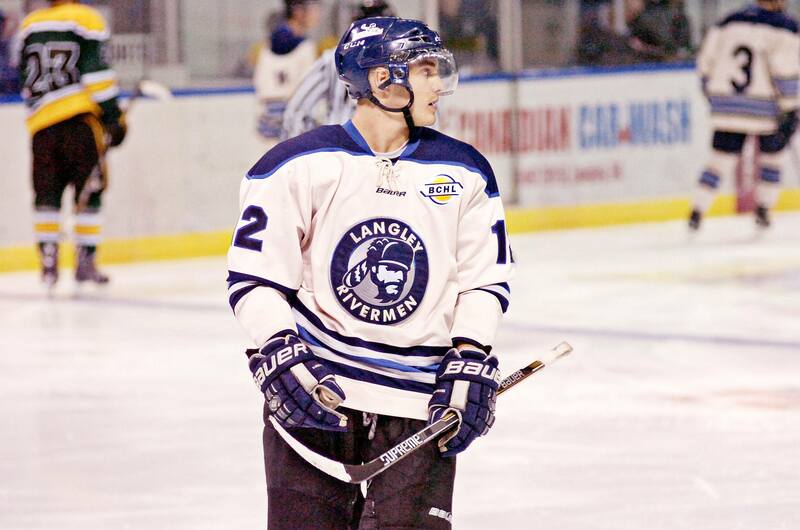 The Langley Rivermen forward is one of five B.C. Hockey League players on the NHL Central Scouting Service Players to Watch preliminary list for 2015. The list came out on Tuesday and includes players from all major junior leagues worldwide. Vela played in 54 games last year as a rookie with the Rivermen, scoring 22 points (11 goals, 11 assists) along with 41 penalty minutes. The 17-year-old from Burnaby is committed to the New Hampshire Wildcats in 2016/17, an NCAA Div. 1 school. Langleyâ€™s next game is on Sunday, Sept. 28 when they visit the Vernon Vipers. The Rivermenâ€™s home opener is on Saturday, Oct. 4 at 7 p.m. at the Langley Events Centre.